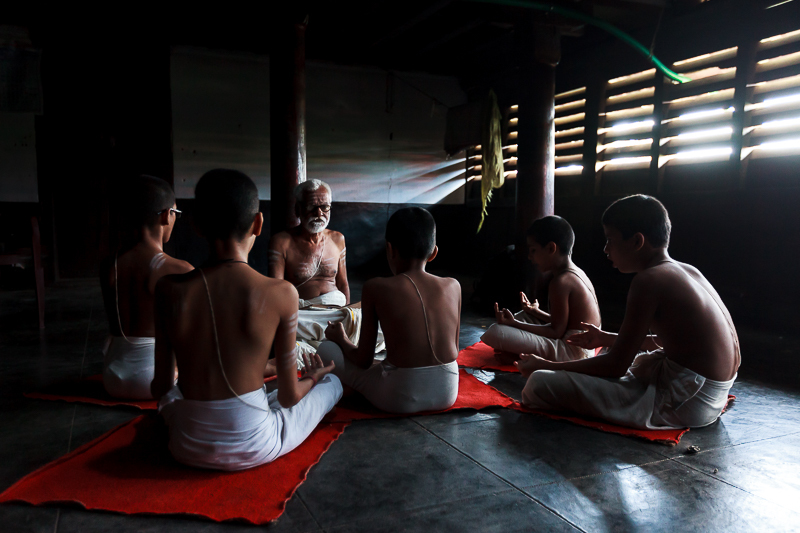 Description: Ancient Vedic School of Kerala, India. The teacher imparting the vedas to the students. The students listen to the chants sung by the teacher and also his hand movements and memories them.